Step inside the truck design room at Sage Automotive Interiors to meet Billy, Bubba, and Bo. Psychographics, art and the auto industry come together here like major highways on the mix-master. Decisions made in this room will determine what millions of drivers sit upon years from now as they speed down the road. Based out of Greenville, South Carolina, Sage has grown into a leading designer and manufacturer in the automotive fabrics business. Customer relations, a growing global footprint, top-quality manufacturing and forecasting the desires of Billy, Bubba and Bo (and all other driver groups) have propelled Sage out front of the competition. Teams analyze the lifestyles of the three characters down to the coffee they drink. As preferences develop during a transformative process, designers inject shape, color, texture, scale and style into different fabrics for each. By the time trucks roll off the lot, Billy’s sitting on ultra-durable fabric in a Dodge Ram, Bubba’s Ford F-150 holds seats with a hint of shine and texture, while Bo’s Toyota Tacoma is tripped out with intricate patterns and rich-looking trim. The automotive textile industry is a multi-billion-dollar business. With only a handful of major players, Sage currently ranks No. 1 in North America, carrying 45 percent of the U.S. market and 15 percent globally. 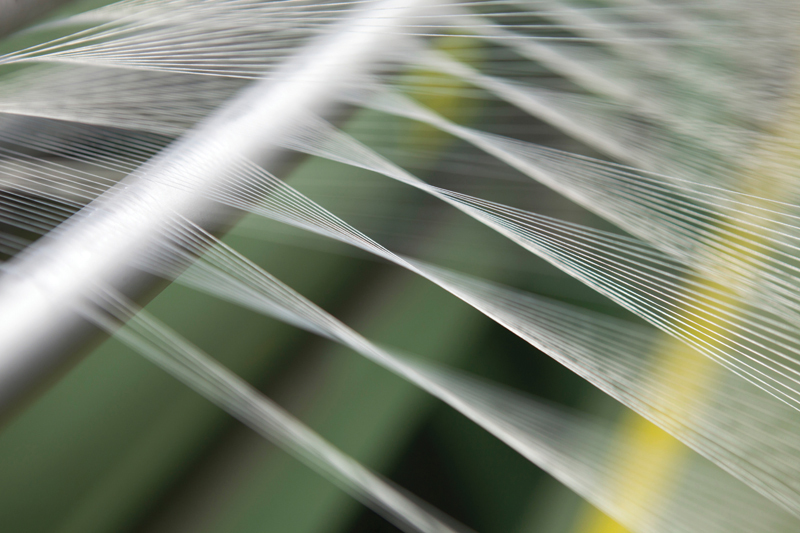 The fabric Sage weaves is as intricate as the company history. In 1948, Milliken & Co. created its Automotive Body Cloth Division, with Ford and GM among its first customers. By the 1970s, Toyota, Honda and Chrysler all looked to Milliken looms to produce materials for seat backs, door panels, package trays, trunk liners and carpeting. Another two decades would pass with Milliken expanding into Europe and South America. Nissan, Hyundai, Fiat and VW started placing orders, as new technology delivered advancements in warping, texturing, coating, face finishing and package dyeing. By 2009, Milliken wanted to sell the division to focus on its other industrial segments. With capitol from a private equity firm, executive management purchased the business and launched Sage Automotive Interiors. The company started with six plants, 911 employees and continued support from Milliken in office tasks and trucking. Since then, two other equity groups have purchased Sage, with each strengthening its product portfolio and global market position. Revenue statistics reflect the company’s commitment to worldwide expansion. The first year, 93 percent of Sage’s revenue was based in North America. Today, even with domestic growth, that number sits at 56 percent. Today, Sage boasts almost 2, 000 employees across 27 facilities, from Poland to India, Thailand to Japan. Six of those sites operate in the United States, including the oldest, the plant in Abbeville, South Carolina. Not far off Main Street, sits a relic of the town’s post-Reconstruction Era, when businesses diversified into textiles for survival. The building went up in 1895 to run cotton-woven fabrics. Today 220 employees run dyeing and finishing operations around the clock, six days a week. Unlike the machinery that filled the space a century ago, now you’ll find state-of-the-art dye jets and weaving machines. High-tech data screens hang from walls tracking the status of each machine. Monitors flash with scheduling and priority for each beam of yarn, holding 10, 000 threads up to 30, 000 yards long. A similar whir echoes through each of Sage’s plants. In Taccoa, Georgia, machines process and texture raw yarn and fiber. In Marietta, South Carolina, the Gayley plant knits, dyes and finishes materials, while a second plant in Abbeville weaves fabrics. Finished product heads to third-party tier 1 cut-and-sew locations to become seat covers. In Spartanburg, South Carolina, the Cotton Blossom plant laminates knitted and woven fabrics to polyurethane foam that will be molded elsewhere into headliners, door panels, and seats. Annually, some 50 million meters of fabric pass through Sage facilities to OEMs around the world. Two lines of fabric form the bulk of the business for seating. YES Essentials® allows drivers to say yes to all food and liquids in the car, with its repel-and-release, stain-resistant properties. YES fabrics represent just about 10 percent of Sage’s business, and are used in more than 7 million autos, including Hyundais, Kias, Chryslers, and Dodge Caravans, minivans and Jeeps. In 2014, Sage expanded into the premium seating market with the purchase of an Italian plant and technology making a luxury microfiber suede called Dinamica®. “The North American market has far more leather usage than the European market, ” explains Locke. “High end in the U.S. is associated with leather. Dinamica® is a product line enhancement for us that moves us into the more premium levels of the market.” The recycled polyester material remains 100 percent recyclable. Much of Sage’s revenue comes from Dinamica®, which can be found in the Cadillac CTS, Ford Mustang Shelby, Porsche GTRS, and Mercedes-Benz S, E, ML and A Classes, among others. Pieper grows animated describing materials that sense body functions regarding heating and cooling, and another that possess electrical connectivity. “Everything is going to change going forward into function, ” he says. Six years ago, executives moved headquarters from Spartanburg to the 250-acre Clemson University-International Center for Automotive Research in Greenville. The sleek, new offices include an accent wall of vintage wooden boards, scarred with nicks and nail-holes. Those boards are from the 1895 plant in Abbeville, where steel-reinforced concrete replaced the old wood floor to support new equipment. With an older workforce, the team is recruiting their eventual replacements. This past summer, Sage hosted South Carolina Chamber Business Week students, showing them various roles in manufacturing. “We’ve dedicated ourselves to being ambassadors to educating students that this is really what manufacturing is all about, ” says Pieper.